“I cannot be a teacher if I do not perceive with ever-greater clarity that my practice demands of me a definition about where I stand. A break with what is not right ethically. I must choose between one thing and another thing. I cannot be a teacher and be in favor of everyone and everything. I cannot be in favor merely of people, humanity, and vague phrases far from the concrete nature of educative practice. Mass hunger and unemployment, side by side with opulence, are not the result of destiny, as certain reactionary circles would have us believe, claiming that people suffer because they can do nothing about the situation. The question here is not “destiny.” It is immorality. Here I want to repeat – forcefully – that nothing can justify the degradation of human beings. Nothing…I refuse to add my voice to that of “peacemakers” who call upon the wretched of the earth to be resigned to their fate. My voice is in tune with a different language, another kind of music. It speaks of resistance, indignation, the just anger of those who are deceived and betrayed. It speaks, too, of their right to rebel against the ethical transgressions of which they are the long-suffering victims.” Freire in Pedagogy of Freedom. The intersections between race, class, gender, sexuality, and nationality have had a significant impact on human rights conflicts around the world. Understanding the dynamics of these intersections has a direct implication on how we confront and resist the forces that dehumanize people in contemporary societies. Identifying the ideological mechanisms that shape and maintain social order in its historical, economic, and political dimensions is imperative and must be challenged if we are to seek constructive change in our society. 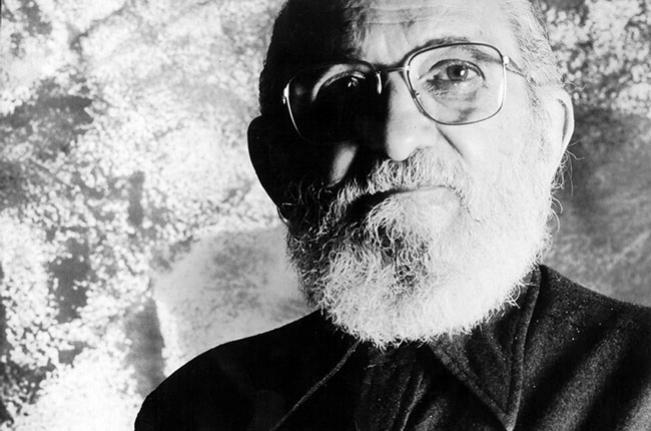 Sponsored by the Hispanic-Latinx Center at Garrett-Evangelical Theological Seminary, the 2018 Cátedra Paulo Freire will explore how we—anchored in ethical and theological principles of equality, democracy, fairness, and justice—must individually and collectively resist. The theme of the Cátedra, Resistencia: Contesting Racist Legacies, is an invitation to engage in a dialogue and together construct more emancipatory and just relations among ourselves.